The Center for Gender and Refugee Studies protects the human rights of refugee women, children, LGBT individuals and others who flee persecution in their home countries. They provide legal expertise and training, policy development, research, and in-country fact-finding, and use international human rights instruments to address the root causes of persecution. 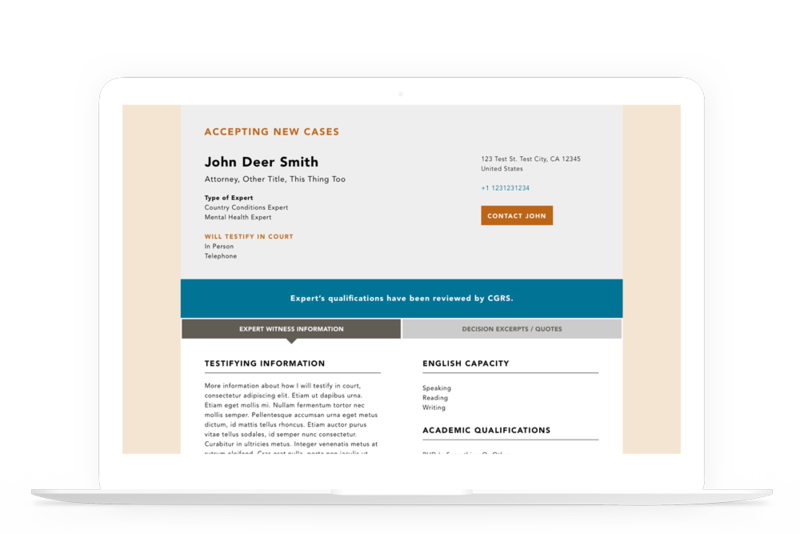 We support their Drupal-based website and technical assistance database, and we're working with them to develop a searchable database of expert witnesses that lawyers fighting for the rights of asylum-seekers can draw on for testimony.